The George Morton Levy Memorial Pacing Series Final gathers some of the fastest elder stalwarts in its field in a long time. 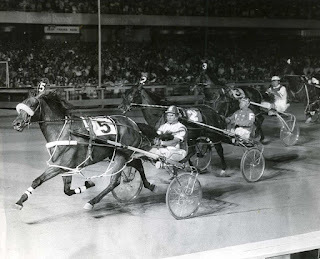 In this year’s legs there have been a few domineering males and although they may have met two at a time in certain divisions, not all of the best were showcased until the April 28 final, worth $445,000 at Yonkers Raceway. Also that night is the $297,000 final of the Blue Chip Matchmaker. At Cal-Expo, TwinSpires-Cal-Expo’s exclusive no-takeout Pick 4 gets another massage on April 27. And there are more poised profits on our horses-to-watch list (H2W). The April 21 “Levy”final has drawn with what could be serious consequences for some of the heavier contenders. Real Nice and Foiled Again drew post positions 7 and 8, respectively. These are rugged posts on the New York half mile, especially for two of the series’ best performers. There is also a $100,000 Levy consolation and a $50,000 Levy-eligible event on the program. Gingras and Foiled Again will have work to do to from post 8. 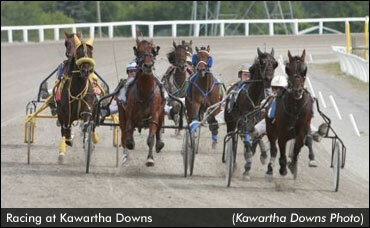 Foiled Again, twice a series champion (2009 and 2010) and finished third to Real Nice in last season's renewal. Now they are one post behind the defending champion. Gingras said, “It's my job to get him the best trip I can” while discussing the matter with Yonkers publicity whiz Frank Drucker. Foiled Again, an eight-year-old gelding co-owned by Ron Burke, Weaver Bruscemi and JJK Stables, began his season with a second-place finish to Real Nice in the opening round of this series. He then reeled off three consecutive scores. He took one week off (April 15) and in the final goes after his 62nd win in his 150th start. He is coupled in the wagering with millionaire Atochia and is the 6-5 morning-line choice. Gingras, who won his 4,000th race this past Sunday afternoon at Harrah's Chester, admitted he was hoping to draw the rail for the final. An upset here is no guarantee but since you can make a case for all in the field there could be a good price on hand. We like Blatently Good from the rail. Once this guy gets the lead it will be hard for him to lose it. With the two probable favorites drawing the outside, he could control the quarters. Certainly driver Brennan is no stranger to pulling off a trip like that. Strand Hanover has been the closest competitor to Real Nice this entire series. Since he draws inside of his foe this week, he has an advantage which could turn into a major knockout punch. In the Levy consolation, Razzle Dazzle returns from a serious win, having gone first over from post 7 to control the stretch drive very easily. He should have another simple time of it here. Sea Venture raced well from post 8 and returns to the inside. He may be overlooked in the betting and could upset at a price. In the event for Levy-eligibles, Reibercrombie gets another shot at winning with a decent price. 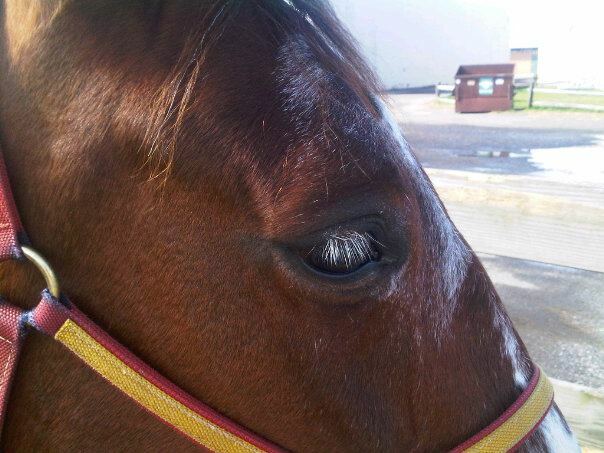 He raced very well last time but was parked on the outside of Strand Hanover and quit badly. With post 3 in this group, he should be in the top three. Foreign Officer is on the outside but was productive last week from post 8 and went a decent first-over mile. As long as he attempts to close here, he could upset. Rocklamation may once again hurl a big mile from off of a blistering pace. Although she has been strong in the series, Western Silk, See You At Peelers and Anndrovette will likely take heavy money, leaving out Ron Burke’s late-speeding gal. In the consolation, Symphony In Motion, the Cape & Cutter champ, has had some problems since that victory. She should be acclimated to the half-mile action now and may be prepped to upset if she gets the trip. The April 27 no-takeout Pick 4 at Cal-Expo is the last four races of the program, from 11 through 14. Last week turned out to be a puzzler, with what we figured were easy toss-outs winning over our highly competitive but failing contenders. That’s behind us now, so here are, with comments, our choices this week for your consideration. (1) Doit By The Clock won closing well last week and could get a good price to repeat considering there are some in here that the public should give more chances than they deserve. (5) Arch Nemesis broke last week while supported well enough and he came back to cash a minor check. With straight steering he could upset. (6) RW Island Spirit has been sitting on a big mile and this group is poor enough to give him a shot at getting that victory. It is a tough single but this is a race we would gladly pass were it not in the mix, so let’s go with him. .
(2) Jeano took the show spot last time at 32-1 and a comfortable ground-saving ride here could be cause for major improvement. The rest are so poor that we cannot even tell you which one will get favorite status. The 4 maybe, even though she tanked as the choice last week? (1) Village Benjamin suffered some broken gear along the route and was hampered greatly as a 2-1 shot, finishing seventh. (4) Hey Scoob could not keep up the pace he set and was caught but may ration that speed to make more out of it in this group. (5) Devilish Donnie was the public choice and finished third; he more enjoys winning when he isn’t so favored. Here is another part of the H2W list that does not identify the next races for these horses. Use your TwinSpires database to alert you when they go.